Perry spent over a decade at NPR, where he led IoT and Connected TV strategies, in addition to mobile. In his new role, he’ll lead product strategy and design the road map for Remedy’s digital brands and health software. According to Perry, the majority of Remedy Health’s traffic arrives via mobile devices, prompting the company to rework its content for the small-screen prior to his arrival. 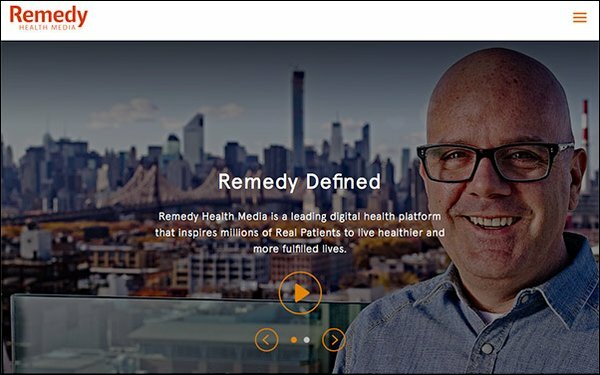 The company is now testing its mobile-first strategies, with Perry on the search for Remedy Health’s first UX and design director. The team is overhauling the design of thebody.com to make it mobile-first and refining content strategy on HealthCentral. “As those projects come to a close in Q1 2019, we'll begin to re-envision what it means to be a part of an online community in the health space,” Perry said. Separately, publisher-focused sell-side platform PubMatic has promoted John Sabella to Chief Technology Officer. Sabella, who has been with PubMatic since 2017, has spent much of his career specializing in mobile and in-app video, working with companies like Vungle, where he was CTO, at Undertone as its COO and at DoubleClick as its vice president of engineering. Sabella’s promotion comes as PubMatic reports growth across mobile app and video monetization. The company reports a 200% year-over-year platform spend across in-app video. Also, its direct publisher partnerships more than doubled year-over-year in 2018. As a result, PubMatic plans to increase its global staff by over 20% in 2019. Of its new hires, PubMatic says nearly half will hold positions linked to key investment areas like mobile and video. The company has announced several other promotions, including new senior vice president of corporate development and general manager of mobile Paulina Klimenko and Jonas Olsen, vice president of video.